You are here: Home / Galaxy Note 4 How-To Guides / How to turn off/on the touch key light (return and recent) on Galaxy Note 4? Similar to all previous Galaxy Note and Galaxy S phones, Galaxy Note 4 has 2 capacitive touch keys in each side of the home button. The touch key in the right side of the home button is a return key or back key. The left one is called recent apps key showing the recently opened apps. By default, when you touch either of the two touch keys, both of them will be illuminated. This can be embarrassing when you try to reply an urgent message in a cinema. In daytime, you seldom need the light to guide you. Of course, lighting the touch keys may consume considerable battery and therefore it may drain your battery noticeably if the duration of illumination is too long. 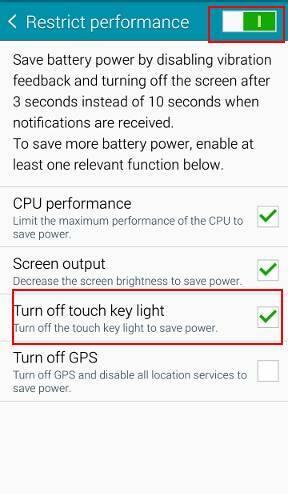 In Galaxy Note 4, you now can turn on and turn off the touch key light to save battery. How to turn on/off touch key light on Galaxy Note 4? 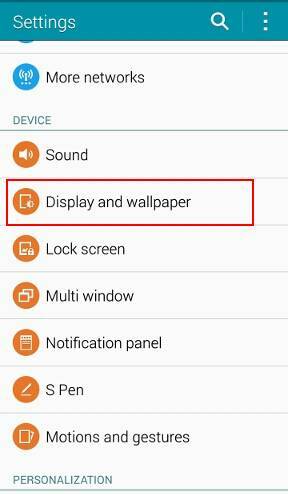 In Galaxy Note 4, the switch for turning on/off the touch key light and the settings for the duration is under Settings—Display and Wallpaper. You can go to Settings, tap Display and wallpaper. 1.5 seconds. This means touch key light is on and the light goes off after 1.5 seconds. This is the default setting. Always off. This option essentially turn off touch key light. The touch key will never be illuminated. This setting will not be overwritten by any other settings. Always on. This option turns on the touch key light permanently. It is NOT recommended for most owners. I didn’t turn off the touch key light, but neither of the keys are illuminated on Galaxy Note 4. Why? Among the 4 options mentioned above, in the old Galaxy devices, none of them can be overwritten by other settings. 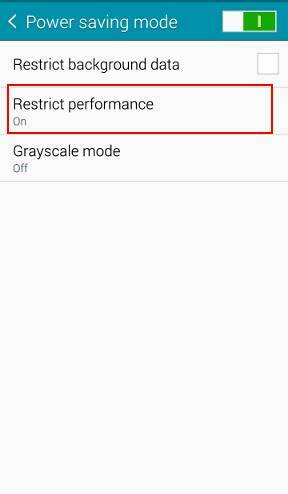 In Galaxy Note 4, however, options 1,2 and 4 can be overwritten by power saving mode. So, this explains why your touch key light is off even your setting is on. You can tune this settings at Settings–Power saving. In Power saving page, tap Power saving mode. Now you can un-check Turn off touch key light (it is checked by default). This will turn on touch key light when power saving mode is enabled. Of course, you can turn off restrict performance totally. Do you still have problems or questions with Galaxy Note 4 touch key light? 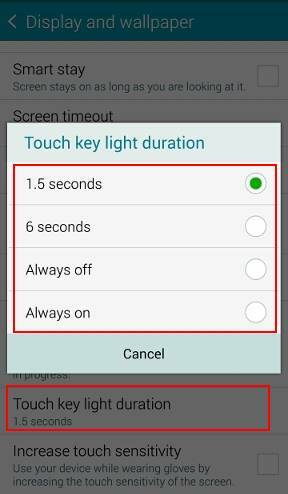 Please let us know your questions on setting touch key light on Galaxy Note 4 in the comment box below. We will try to help you find the answer /solution. For other Galaxy Note 4 problems, please check our Galaxy Note 4 how-to guides page. This is normal. When you turned on power saving mode, it already told you that the touch key light will be affected. No, power saving mode will overwrite such apps. 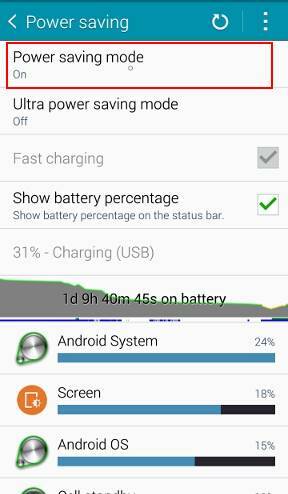 Actually, power saving mode will not save much battery. So no any option back key light on in power saving mode? No, there are no options in power saving mode. If factory data reset does not solve the issue, you need visit local service center to check the phone. What happens if you lock the screen? i use tab A and my back button doesn’t light up.What should i do? My touch key lights on whenever i touch any part of the screen! You can turn off auto-brightness, then adjust brightness as you want. My touch key light duration and LEDIndicator keep turning off by themselves. My power saving mode is turned off. What is going on? Do you mean the settings turn off by itself after you turn it on? I have the same issue as Dylan! Did you install any app task manager or battery saving apps? Nope! I’m not sure if it is because of some sort of update or what but even if I check led indication and set the home keys, after a while they unchecked themselves and I have to go back in and check them. Hi! I would like to know if you are in Power Saving mode in Note 4, you are not able to feel any vibrations on the back and home buttons only touch key light? In note 4, you can configure them individually once power saving mode is enabled. In note 5,you cannot configure them. 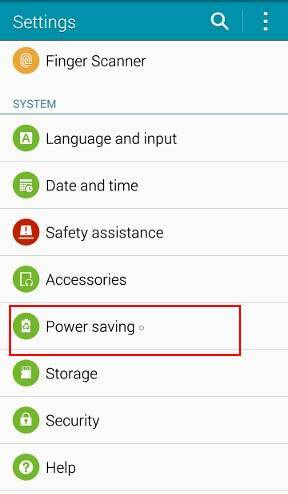 In Settings–power saving–Power saving mode. Under Restrict performance, you can find the settings. Not sure about your question. Do you mean the screen doesn’t respond to your finger? It seems with setting on OFF anything that wakes phone from sleep it flicks,power /home button,plugging in charger or activating Google now when phone is asleep. If you are really concern it, you can visit the Samsung service center to ask them to check the phone. You can also test the phone in some phone shops. K yea was just curious, I originally had the soft key set on 6 second(on) but when I when I hit the power button to wake screen up I noticed it look like it faintly lit and then lit up bright,if that makes sence..So that’s when I went into setting and turned off to see what it would do,so yea with hitting power or home button when waking phone up u can see a faint flick (light up)of the soft keys for split sec. This is a replacement device I just got because my original note 4 speaker was really distorted, just trying to make sure I don’t have a dud. So you have seen it? Not exactly. But it is possible. Turning off the light is a software control. When you press home button, it is a hardware operation. Depending on the stat of the software (actually the corresponding process), the back and recent keys may flick. But they should NOT light up. As long as the keys do not light up, it is normal, to may knowledge. Hi,I noticed last night on my note 4 that the capacitive buttons give a faint flicker when waking phone up with home or power button,this is with light duration turned off,its 1 very faint flick,can’t see it in normal lighting has to be in pretty dark room, either way do u know if that is normal or common? Or is my phone messed up? It is probably normal, as I know. Once Power Saving Mode is switched on, will it work continuously or will automatically enable when battery % reaches certain point(say 20% mark as in Moto). Also, i see lag in UI once power saving mode is enabled. On note 4, once power saving is on, you should see the icon in status bar and it will be always on. You have a few options in power saving settings. If it is a hardware issue, you have to visit local Samsung service center to check and repair. Anyway, did you try to reboot the phone and check it again? There is no option for touch key light duration on my galaxy note 4 seven inch. Under settings …the display option and wall paper options are separate contrary to the tutorial. Neither offers any touch light option…so frustrating. Please advise. Thanks. There is no 7″ model of note 4. What’s the model number of your phone (settings – about phone)? Are you in easy mode? I want to turn it on as it is off by Default. I didn’t see this help anywhere not even on Web..
Not sure about the phone model. Most Samsung phones have it on by default. Did you have any related settings in settings – display? Did you try to turn off power saving? You may also check whether you are in easy mode. How can I do this for Samsung Core 2 ? I can’t find these option in this mobile. Did you check the manual for your phone? Probably, you can only adjust the duration, but not turn it off. Great…!!! useful info and very well described! hi. do you know if we can change the settings of the touch key? that is, I am used to pressing the left key to call out the menu/settings but now it becomes recently opened apps. it is kind of irritating as I keep forgetting.